$185.00 In stock - low quantity. Order in the next 18 hours, 9 minutes and it will go out today! Instant and Easy Illusion for parlor, even for Stage show. 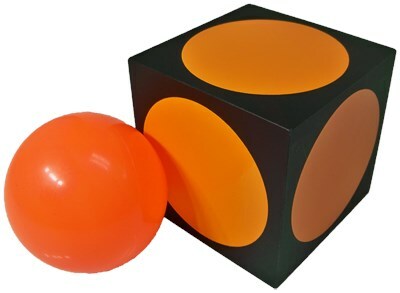 With magical finger snap, the jumbo cube changes into a real live ball, a large-sized orange ball that matches the painted on the cube. Now, he covers the lid on the box, so there is no opening. It is completely sealed. With another magical finger snap, a solid, jumbo die cube appears from the empty box!